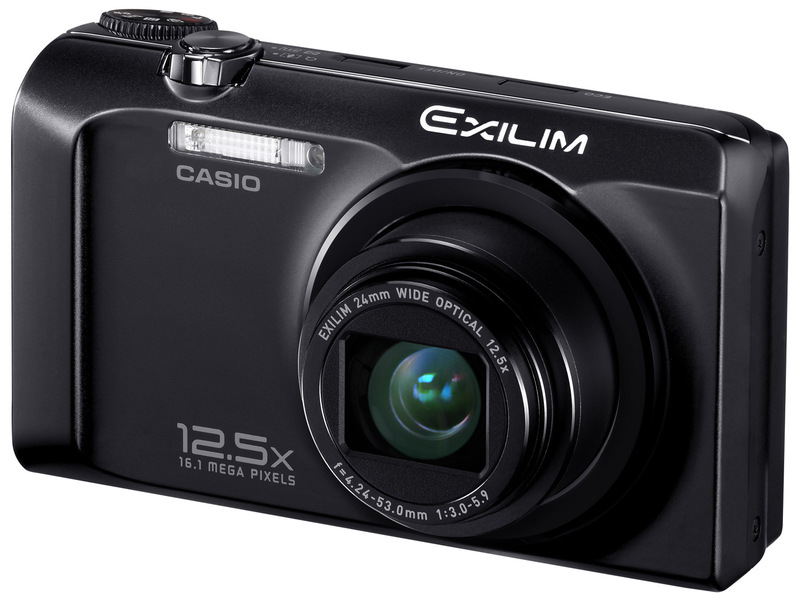 Casio has announced the new Casio Exilim H30 – 16.1mp, wide-angle 12.5x optical zoom (24-300mm), 3″ LCD display (460k), 720p video (AVI, 24fps), anti-shake CCD sensor – it also features 1000 shot battery life using a lithium ion battery. 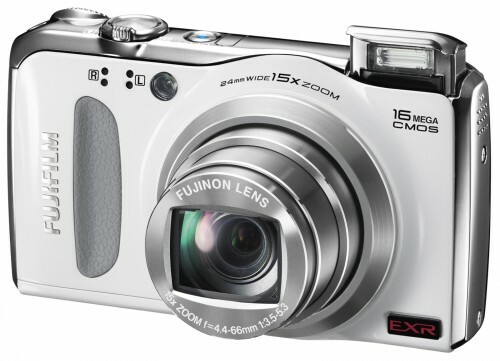 “January 5, 2011 ― Casio America, Inc. and its parent company, Casio Computer Co., Ltd., today added even more depth to its popular EXILIM® family of digital cameras with the announcement of the 16.1 megapixel EX-H30. With an impressive 24mm, ultra-wide-angle, 12.5x optical zoom lens as well as the ability to capture up to 1,000 photos on a single battery charge (*in accordance with Camera & Imaging Products Association standards), the new EX‑H30 offers the versatility that today’s travelers are looking for in a compact digital camera. 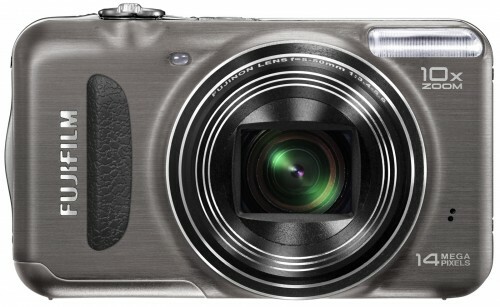 Fujifilm has announced the new Fujifilm FinePix AV200, AV250 and AX350 – the AX350 features a 16 megapixel sensor, 5x optical zoom lens (33 – 165mm), and all cameras feature a 2.7″ screen, Digital Image Stabilization, Single and Tracking Auto Focus with SR Auto, Motion Panorama mode, ISO sensitivity 1600 at full resolution and up to ISO 3200 with 3MP, Full HD photos and 720p HD movie capture (16:9 stills), Scene Recognition Auto (SR AUTO), Face Detection technology with auto red-eye removal, and is AA battery operated (180 / 480 shot battery life with alkaline / ni-mh batteries). 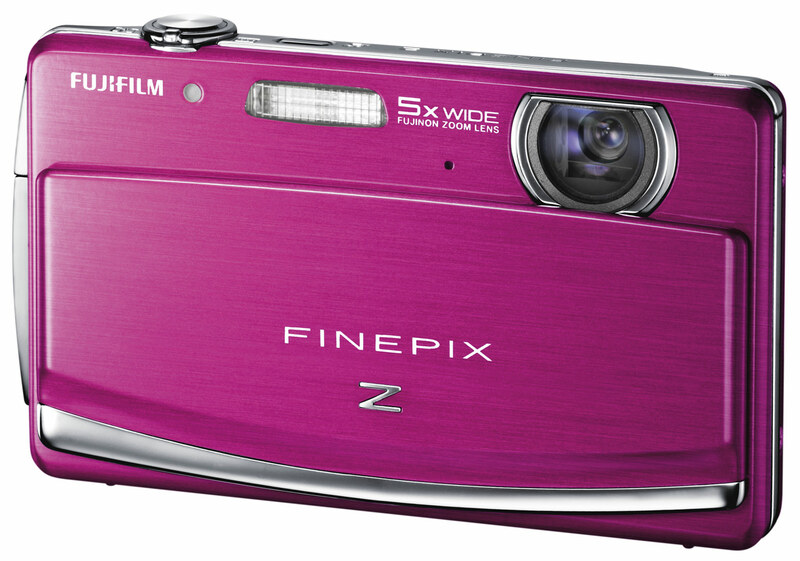 The AX350, shown above, has a RRP of £89.99, and is due 1st March 2011. Fujifilm has announced the new Fujifilm FinePix T200 and T300 – the world’s thinnest 10x optical zoom camera, it features a 10x optical zoom lens, 28-280mm (35mm equivalent), 14 megapixel sensor, 2.7 inch rear LCD (3.0″ on T300) with 230,000 pixels, CCD Shift type Image Stabilisation, Face recognition and Image Search, ISO 3200 maximum sensitivity, Super slim body, Photobook Assist, Motion panoramic shot capture, Available in 4 colours: Black, Silver, Blue and Red. 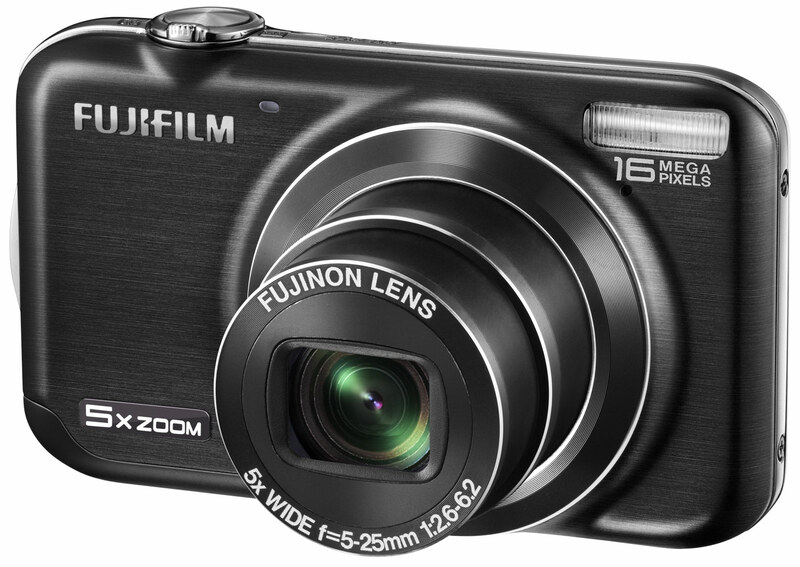 Fujifilm has announced the new 16mp Fujifilm FinePix JX350, and 14mp JX300, they both feature a wide angle 5x optical zoom lens (28mm-140mm equivalent), metal body, 2.7″ LCD screen, ISO 1600 at full resolution, Tracking Auto Focus, Motion Panorama Mode, NEW Facebook/You Tube easy web upload, Digital Image Stabilisation, Intelligent Flash, Full HD image and 720p HD video capture, and will be available in black, silver, gold, pink, blue and red. Fujifilm has also announced the new Fujifilm FinePix JV200 (shown below) – features the same specification listed above – but with a standard 3x optical zoom lens (36-108mm), and 14 megapixel sensor. 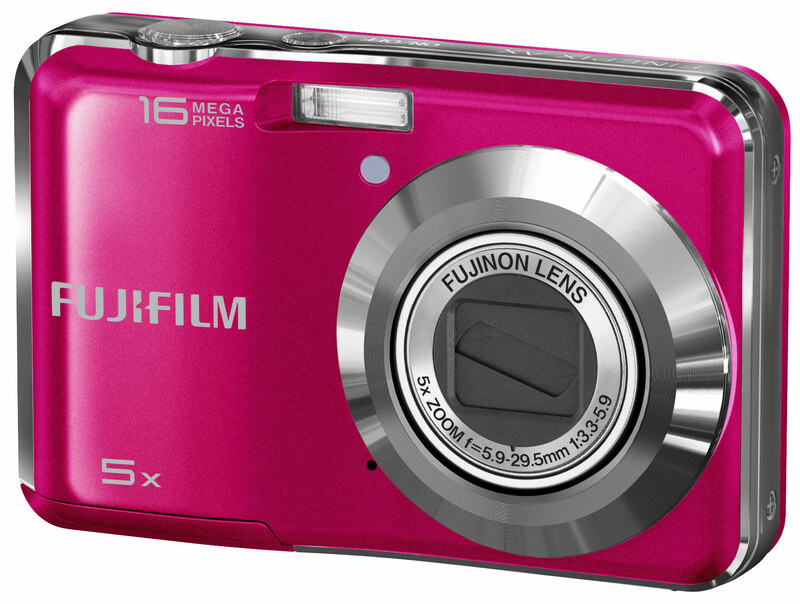 The JV200 is only 20.9mm thick, and will also be available in black, silver, gold, pink, blue and red. 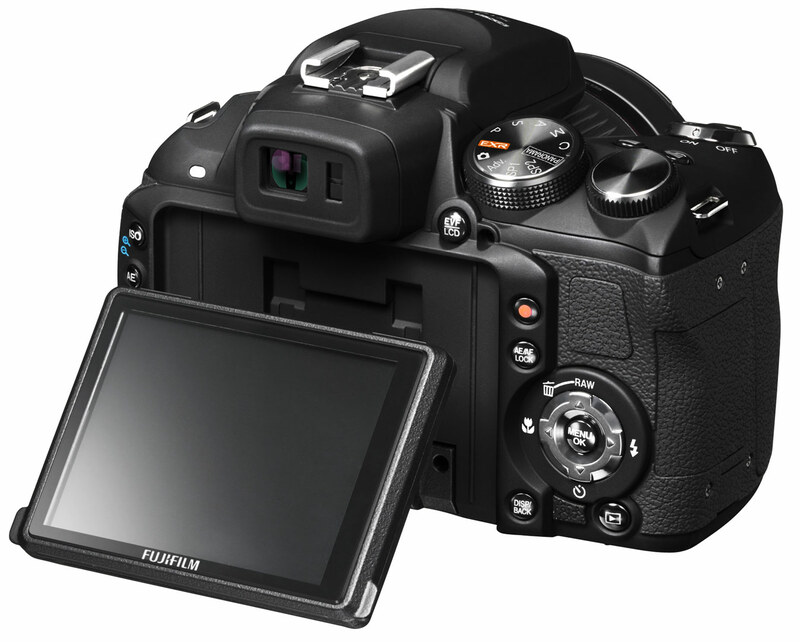 “The three new models have a standard core specification and differ predominantly by their sensor resolution and zoom/lens capabilities, but also by the thickness of the camera body. 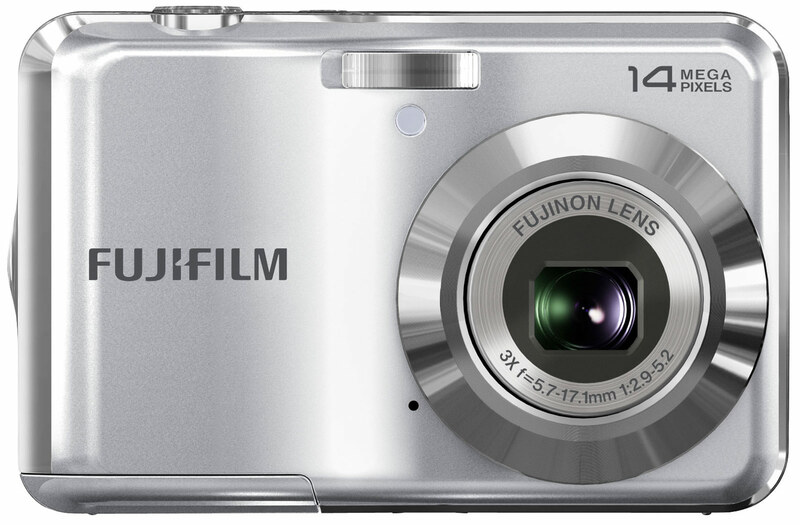 Starting at the entry level end of the range there is the JV200, which has a 14 megapixel sensor and a Fujinon 3x optical zoom (36-108mm), ranging up to the JX350 with its 16 megapixel sensor, wide-angle (28mm to 140mm) 5x optical zoom lens, and super slim body. 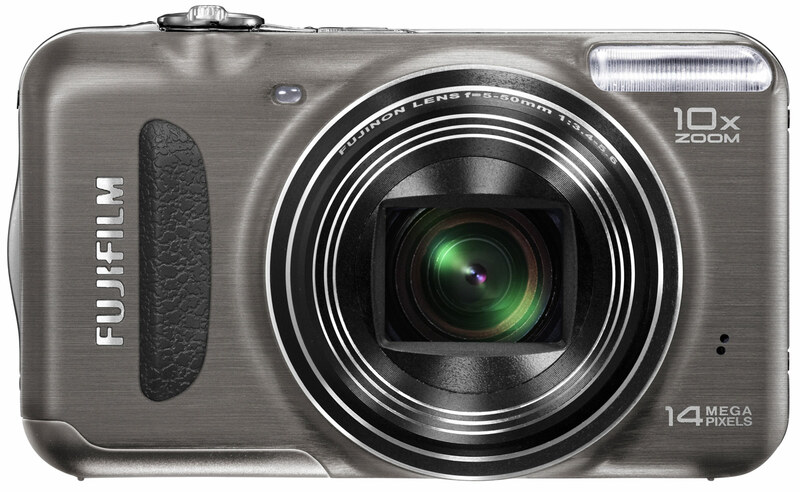 Fujifilm has announced the new Fujifilm FinePix HS20 – an update to the HS10 – it features a new 16 megapixel EXR CMOS sensor, 30x optical zoom covering 24-720mm (35mm equivalent), 3.0 inch tilting rear LCD with 460,000 pixels, 8fps shooting at full resolution, high speed video capture at up to 320 fps (320 x 112 pixels), Advanced Anti-blur technologies (anti-shake sensor), 1600% wide dynamic range, Longer battery life (up to 350 frames with 4 x AA batteries – alkaline), Electronic Horizon level function, RAW shooting (RAW or JPEG or simultaneous RAW+JPEG), Full HD movie capture using H.264 (MOV) format at 1920 x 1080 pixels (30 fps), New 27 mode EXR Auto mode, Colour fringe reduction and improved corner sharpness, Film simulation modes, 360° Motion Panorama mode, and will be available in April. 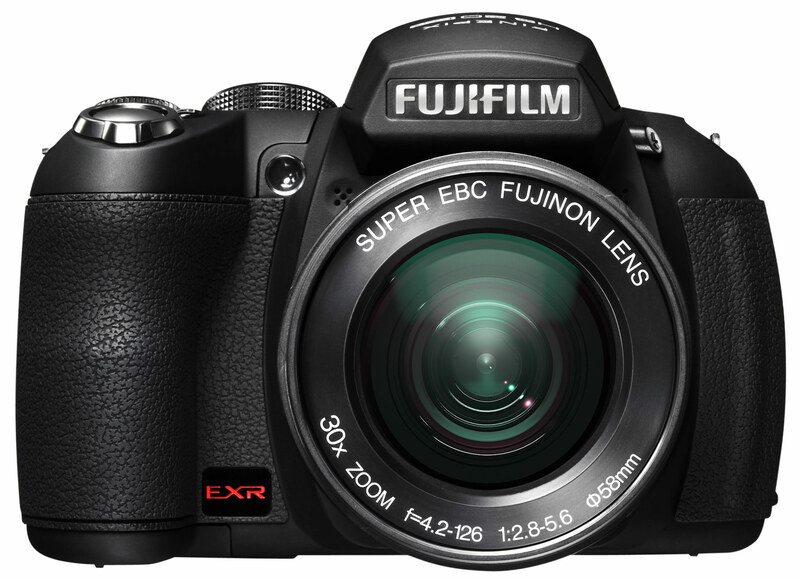 Fujifilm has announced the new Fujifilm FinePix S3200 (above) and Fujifilm FinePix S4000 (below), both cameras are the same except the S3200 has a 24x optical zoom lens (24 – 576mm), and lower resolution screen (230k vs 460k in the S4000), while the S4000 features a 30x optical zoom lens (24 – 720mm). Other features are: 14 Megapixel CCD, 24mm wide-angle – super zoom lens, Dual Image Stabilisation (anti-shake CCD sensor), 3.0″ LCD screen (460K dot resolution on the S4000 and 230K dot on the S3200), EVF (200K dot resolution), Full HD stills and 720p HD movie capture (30 fps), HDMI port for easy image display on any HDTV, Up to ISO6400 (at reduced resolution), Manual Controls, Motion Panorama mode, 4 x AA batteries. 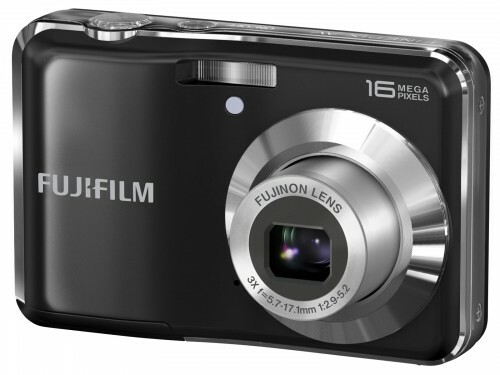 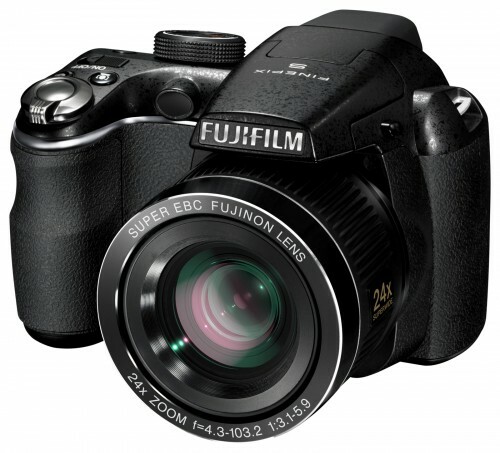 The Fujifilm FinePix S3200 is available for £186 from Amazon UK. Fujifilm FinePix S3200 Reviews: ePHOTOzine. Continue reading below to watch a promo video of the Fujifilm FinePix S4000. 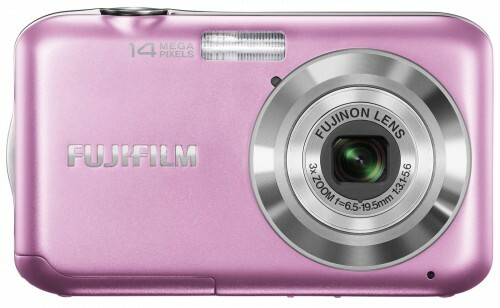 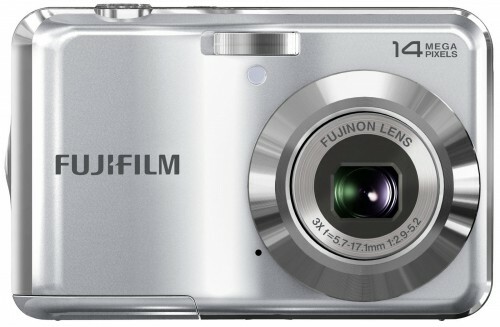 The Fujifilm FinePix S4000 is available for £217 from Amazon. 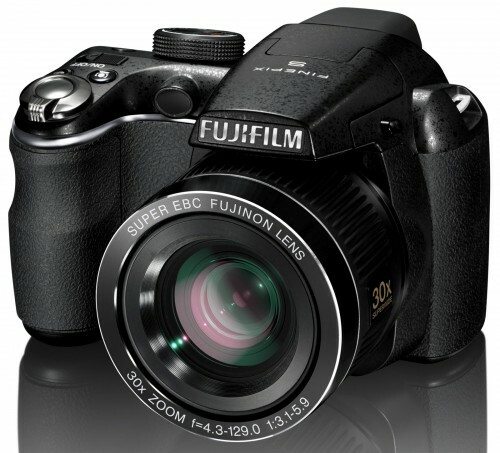 Fujifilm has announced the new Fujifilm FinePix S2950 ultra zoom – with a wide angle 18x optical zoom lens (28mm – 504mm) – it features a 14 megapixel sensor, 3″ screen, 720p video recording, HDMI out, anti-shake CCD sensor, manual controls and takes 4 AA batteries (offering 500 shots using Ni-Mh batteries). The Fujifilm FinePix S2950 is available for pre-order from Amazon UK. “Following on from the success of the FinePix S2800HD, the S2950 will be available from Spring 2011. 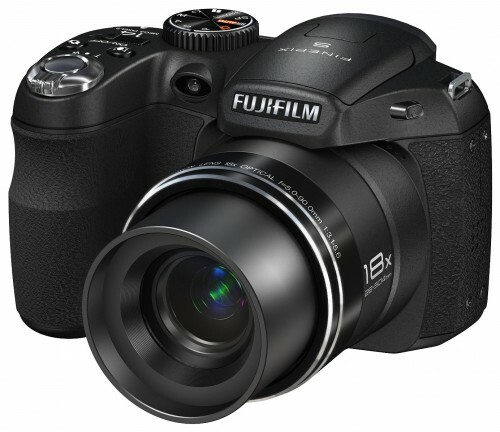 This is the latest addition to Fujifilm’s S-Series long-zoom range of “bridge cameras” which are renowned for their ease-of-use and excellent tele-photo capabilities – all packaged up in a neat compact shell and with the added bonus of an all-important EVF. Fujifilm has announced the new Fujifilm FinePix XP30 – It’s the “world’s first water, shock, dust and freeze proof model to feature built-in GPS functionality” and features a 14 megapixel sensor, wide angle 5x optical zoom lens 28-140mm (35mm equivalent), 2.7″ screen with toughened glass, GPS, CCD-shift image stabilisation, 720p video, and ISO100 – 3200. 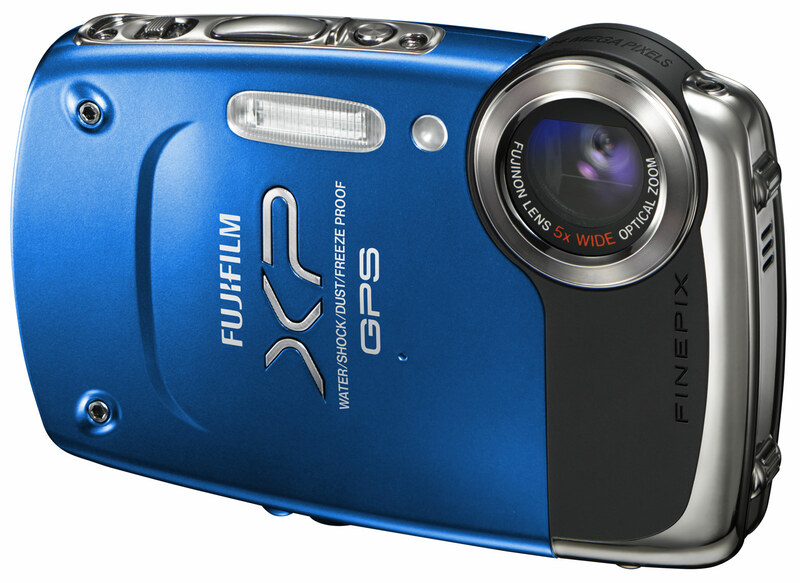 The Fujifilm FinePix XP30 is available for pre-order from Amazon UK in Black, Silver, Orange, Blue and Green. Fujifilm has announced the new Fujifilm FinePix F500 Pocket Zoom – it features a 16 megapixel EXR CMOS sensor, 15x optical zoom covering 24-360mm (35mm equivalent), 3.0 inch rear LCD with 460,000 pixel, 1600% wide dynamic range, Full resolution high speed shooting at 3fps, Full HD movie capture (H.264 MOV file format), Advanced 27 scene mode EXR Auto, Film simulation modes, 360° Motion Panorama mode, Photobook Assist function.